Motorboat & Yachting: A jury today convicted two men at the Old Bailey, following the largest seizure of automatic weapons in UK history. Two men were convicted at the Old Bailey today (April 21) over a plot to smuggle a record haul of automatic weapons into the UK. Harry Shilling and Michael Defraine were found guilty by a jury and will be sentenced on May 13 alongside three other men, who had already pleaded guilty, including David Payne who drove the heavily armed boat across the Channel. Motor yacht Albernina was being tracked by the National Crime Agency (NCA) when it left UK waters on August 9 2015 and made the crossing to the French port of Boulogne-sur-Mer. Here the men picked up a large consignment of automatic weapons, including 22 VZ58 assault rifles, 9 Skorpion machine guns, 58 magazines, two silencers and more than 1,000 rounds of ammunition. When they returned to Britain the follow day and moored up near Cuxton on the River Medway, the authorities closed in on them. Three people were arrested on the scene, a further two were picked up at a local DIY store where they were buying spades and pick-axes to bury the illegal weapons haul, and a sixth was arrested a local McDonalds restaurant after attempting to flee. Rob Lewin, head of specialist operations at the NCA, said: “This seizure of automatic weapons was the largest ever made by the NCA – and, we believe, the largest ever on the UK mainland. “We cannot say for certain what the organised crime group would have done with the weapons had they not been stopped,” he added. Motorboat & Yachting: The Perpetuus project to harness tidal energy off the Isle of Wight will be going ahead after receiving MMO approval. The Isle of Wight looks set to become the site of the UK’s largest tidal energy centre as part of a new project called Perpetuus. Located in a 5km2 area off St Catherine’s Point (pictured above), the Perpetuus Tidal Energy Centre (PTEC) should generate a peak power output of 30MW. 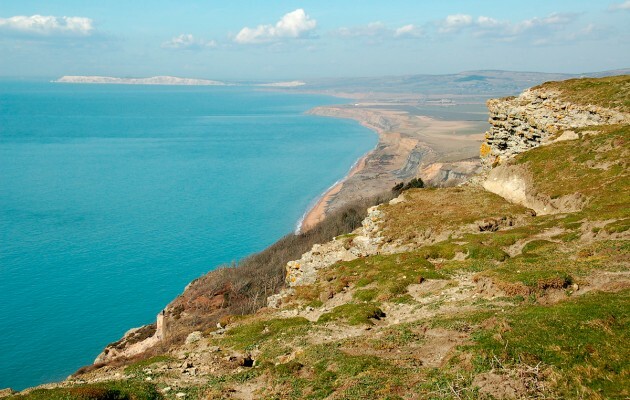 Approval for the onshore development was granted by the Isle of Wight Council last year, and this week the Marine Management Organisation (MMO) gave its approval for the offshore infrastructure to be built. PTEC has been in development since 2010 and now the developers hope to be able to begin construction in 2017, with a view to generating electricity by the end of 2018. The tidal energy project has worked closely with boating organisations and the organisers of the Round the Island Race to ensure minimal disruption. What’s more, PTEC chairman Rob Stevens (pictured right) has strong links to the boating community, having worked as CEO of the British Marine Federation from 2005-2012.